Just like it always did, “Reading Rainbow” is counting on “viewers like you” to bring access to books and excitement about reading to children across America. And “you” are seriously stepping up to the fundraising plate. 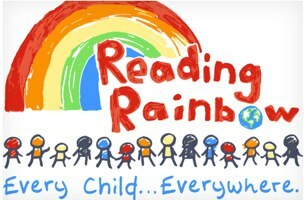 By now, you’ve likely heard that the classic show’s longtime host, LeVar Burton (who may have been our childhood hero), has taken to crowdsourcing website Kickstarter to fund the resurrection of “Reading Rainbow” in a new, web-based format that would bring an unlimited library to kids everywhere and schools most in need. To reach kids everywhere, we need to be everywhere: we need to be on the web. Second, a resounding number of teachers have told me that they want Reading Rainbow in their classrooms, where they know it can make a difference. We will provide it, along with the tools that teachers need, including teacher guides, leveling, and dashboards. And in disadvantaged classrooms, we’ll provide it for free. Whether it’s this sound principle, a generation’s love for Burton and his show, or the awesome perks he is offering for donations (including meet and greets, autographs, video chats, and the opportunity for Burton himself to record your voicemail message), the response has been overhwelming; the campaign hoped to raise $1 million in just over a month. In a couple of days, it has already raised over $1,600,000. That’s over one-and-a-half times its goal in just days. The little girl inside me, the one who used to run around the house with a headband over her eyes while singing the Reading Rainbow theme song (because I liked to combine LaVar’s Star Trek character and book-loving character into a single superhero. Judge me.) is beaming.